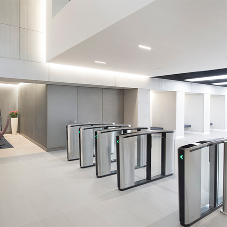 Boon Edam have launched the Circlelock Combi, a half portal attached to an existing door which transforms the entrance into a high-security entrance, capable of protecting against both unauthorised entries and piggybacking. 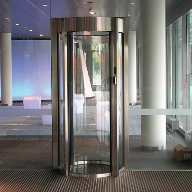 The Circlelock Combi can be attached easily and quickly to either the secure or non-secure side of an existing swing door. Using the most innovative and up-to-date technologies on the market, including the StereoVision piggybacking detection system, this security access solution offers complete peace-of-mind when it comes to keeping people and valuables safe and secure. The Circlelock Combi also allows for easy and effective integration with third party technologies such as biometrics and ACS. This is over-and-above the already built-in systems such as advanced sensors and accurate identification systems which only allow one person in the portal per authorisation. 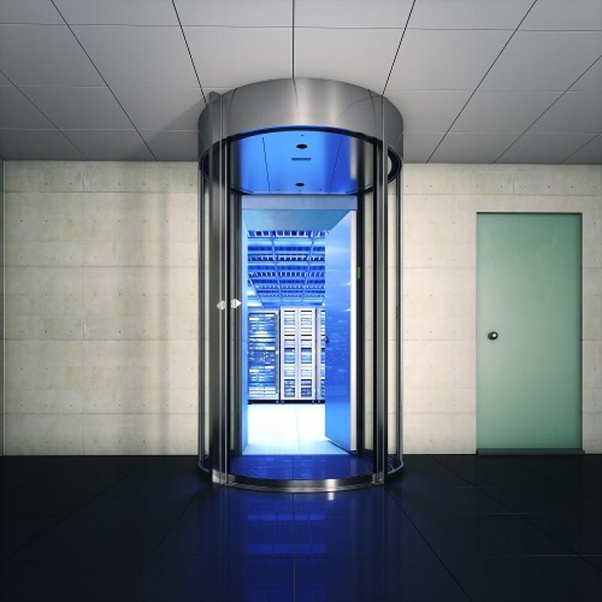 The product is easy to operate: On authorisation, the portal’s interlocking door slides open allowing a user to enter the portal. 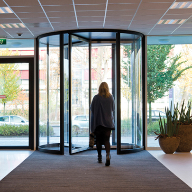 An integrated security system confirms whether the user is alone and if so, the swinging door is unlocked, enabling passage into the secure area. A secondary biometric system such as facial recognition (by others) can be used to confirm identity inside the portal.